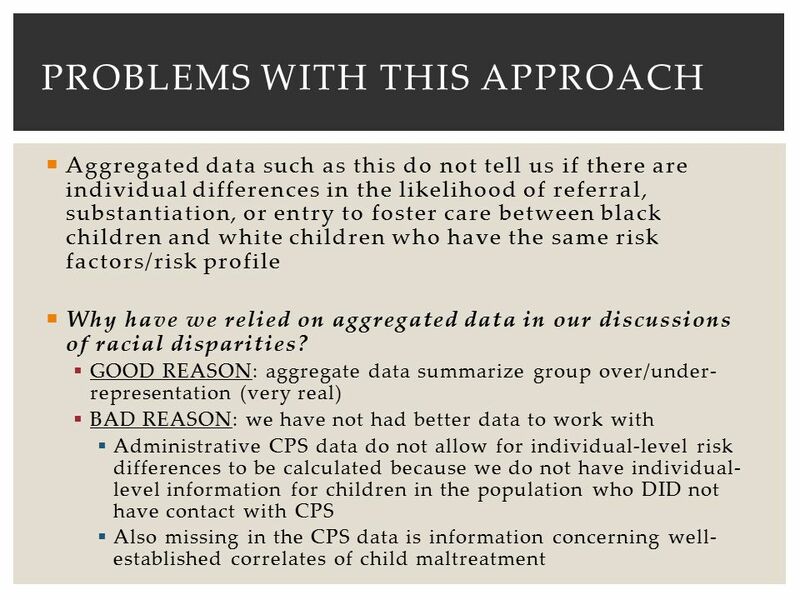 US Berkeley 2/12/2013 linking population-based data to child welfare records: a public health approach to surveillance Emily Putnam-Hornstein, PhD University. What? 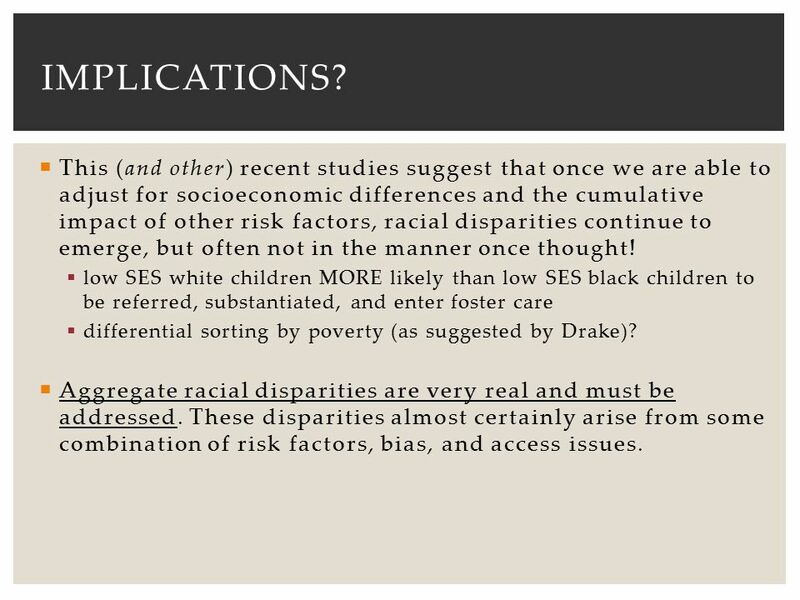 (what defines disproportionality and disparity?) Who? 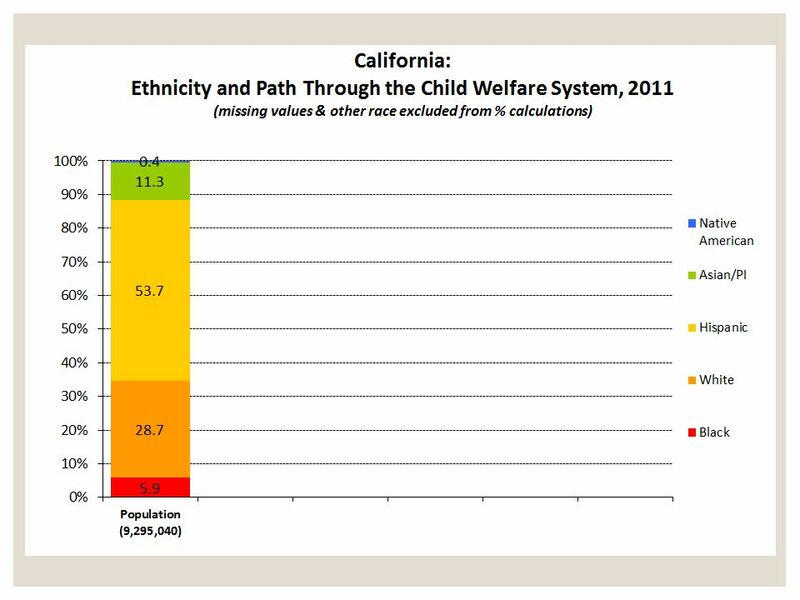 (who is disproportionately represented?) Where? 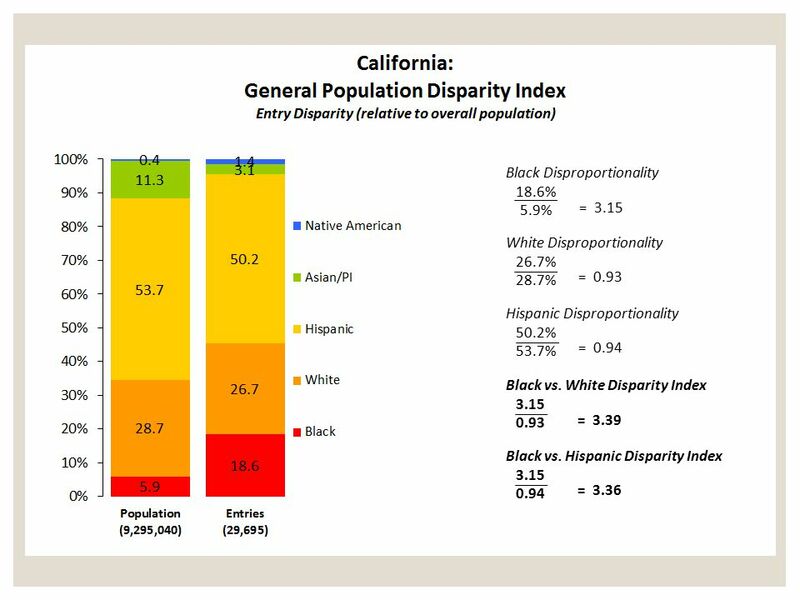 (where is disproportionality observed?) When? 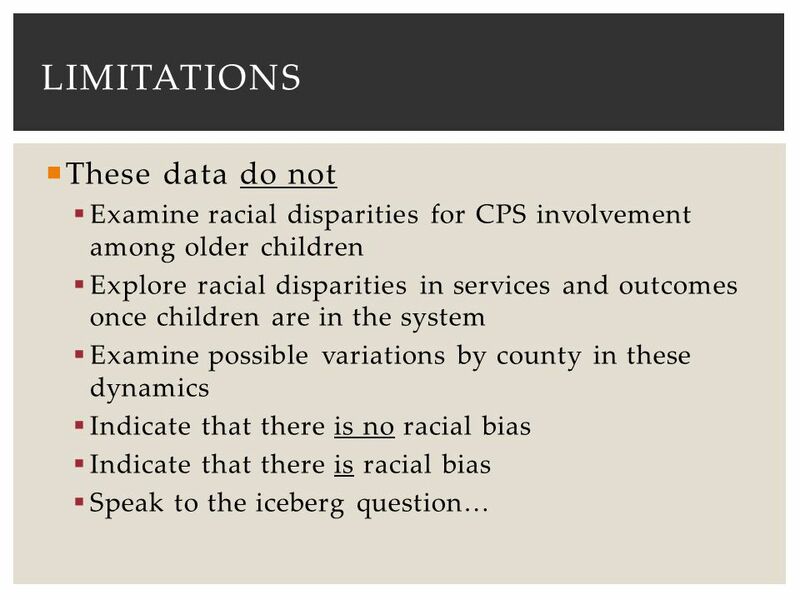 (when do disparities arise?) How? 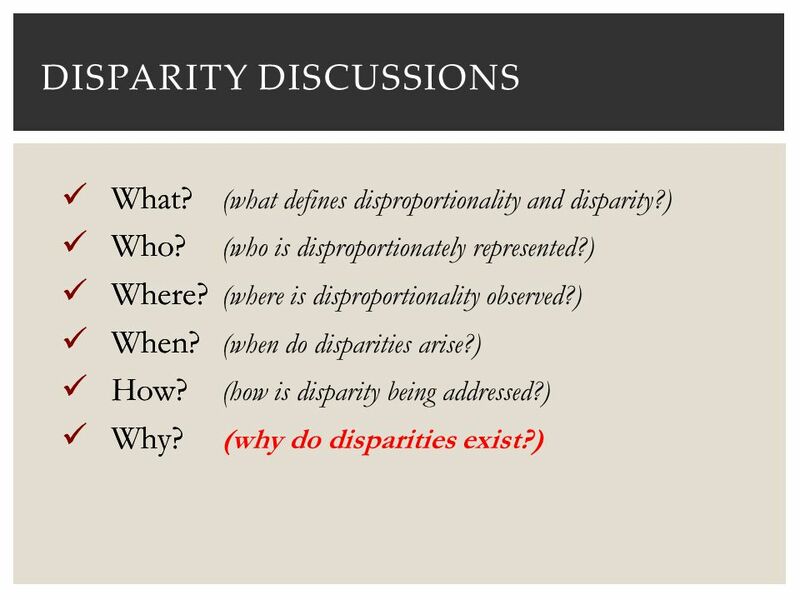 (how is disparity being addressed?) Why? 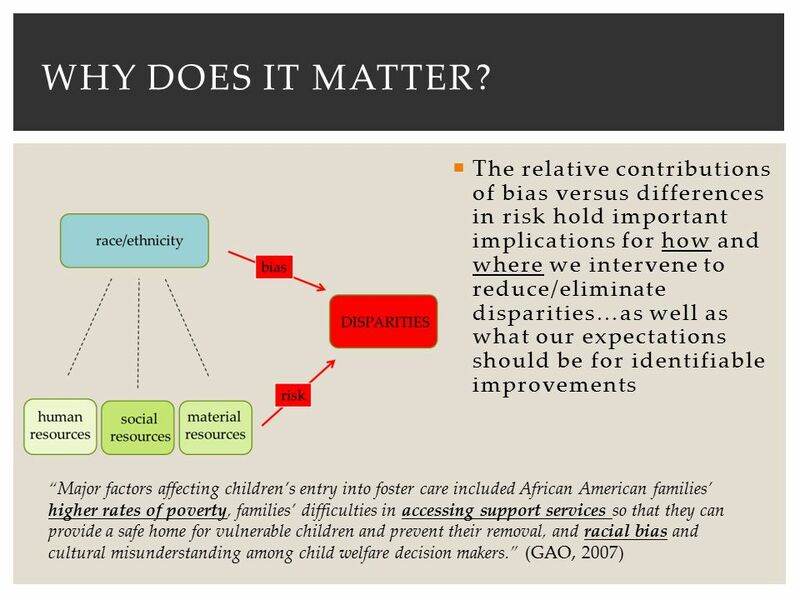 (why do disparities exist?) What? Who? Where? When? How? Why? 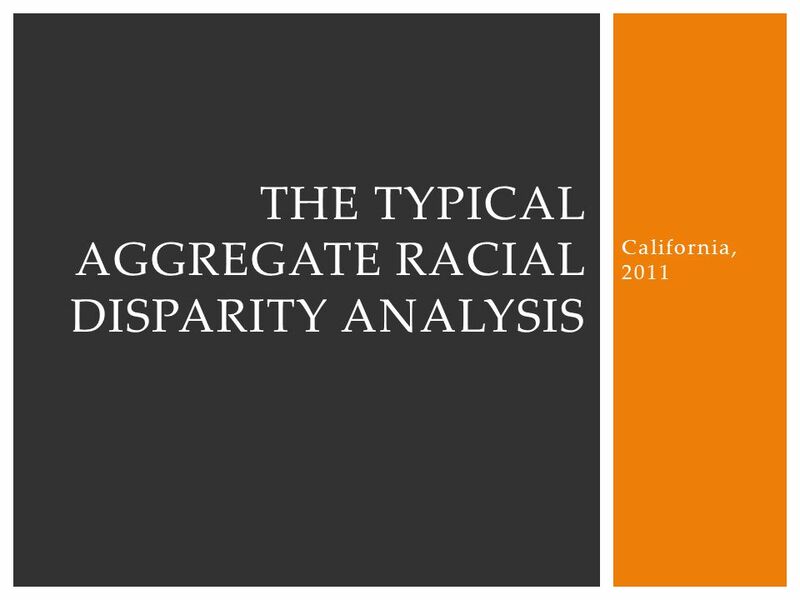 4 Why do Racial Disparities exist? 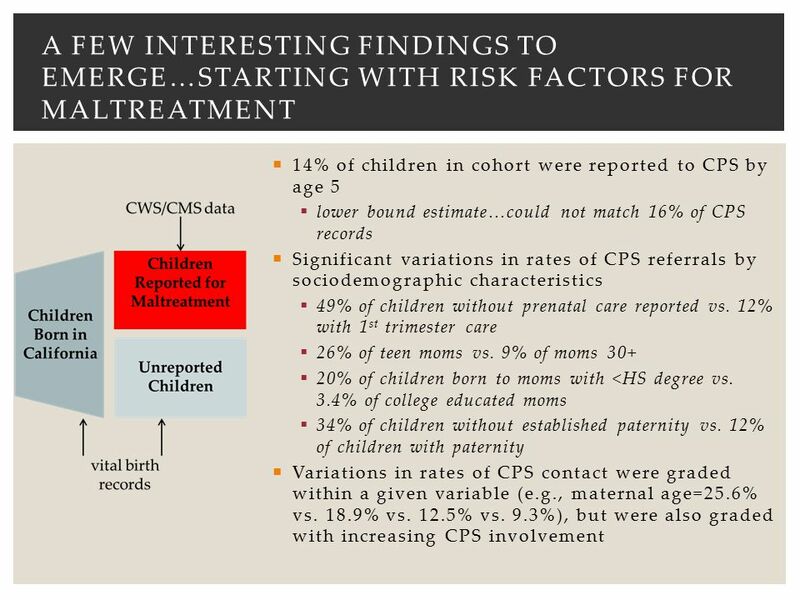 14% of children in cohort were reported to CPS by age 5 lower bound estimate…could not match 16% of CPS records Significant variations in rates of CPS referrals by sociodemographic characteristics 49% of children without prenatal care reported vs. 12% with 1st trimester care 26% of teen moms vs. 9% of moms 30+ 20% of children born to moms with <HS degree vs. 3.4% of college educated moms 34% of children without established paternity vs. 12% of children with paternity Variations in rates of CPS contact were graded within a given variable (e.g., maternal age=25.6% vs. 18.9% vs. 12.5% vs. 9.3%), but were also graded with increasing CPS involvement Notes about paternity: Establishing paternity is the process of determining the legal father of a child. 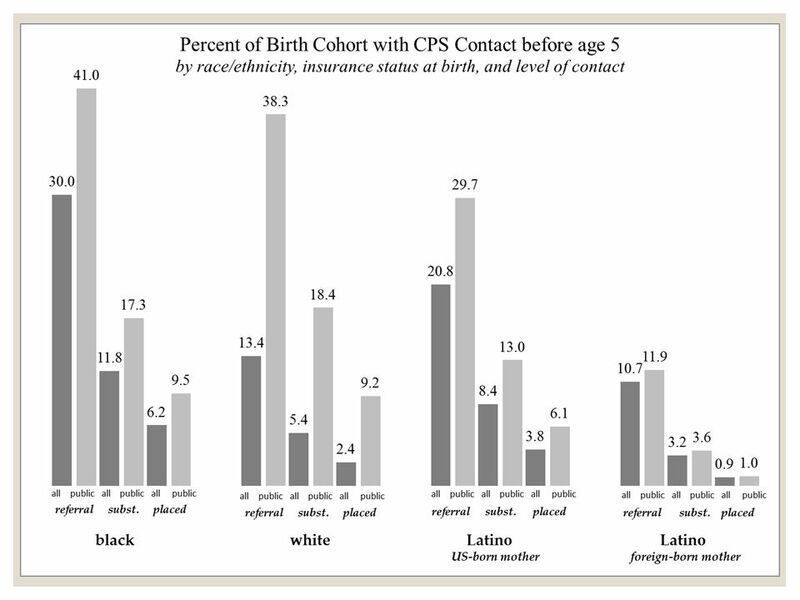 When parents are married, paternity is automatically established in most cases. If parents are unmarried, paternity establishment is not automatic and the process should be started by both parents as soon as possible for the benefit of the child. 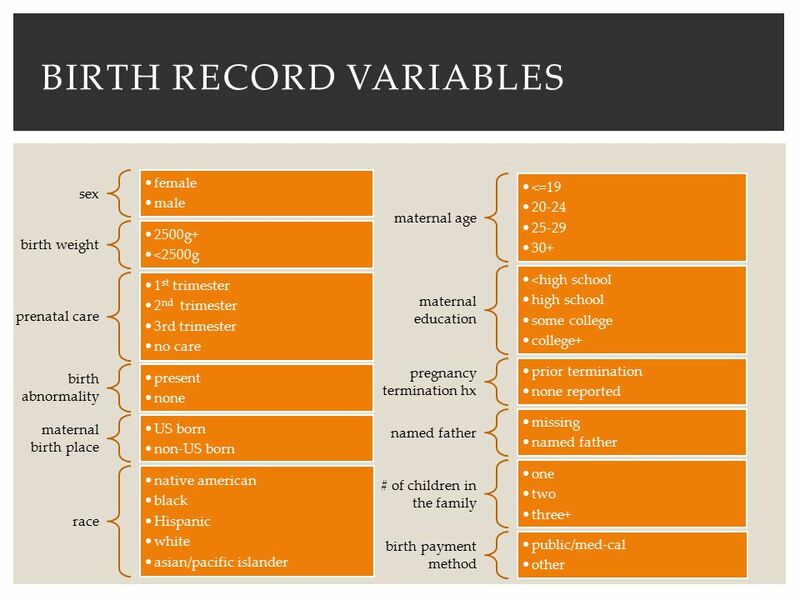 Unmarried parents can establish paternity (legal fatherhood) by signing the voluntary Declaration of Paternity. 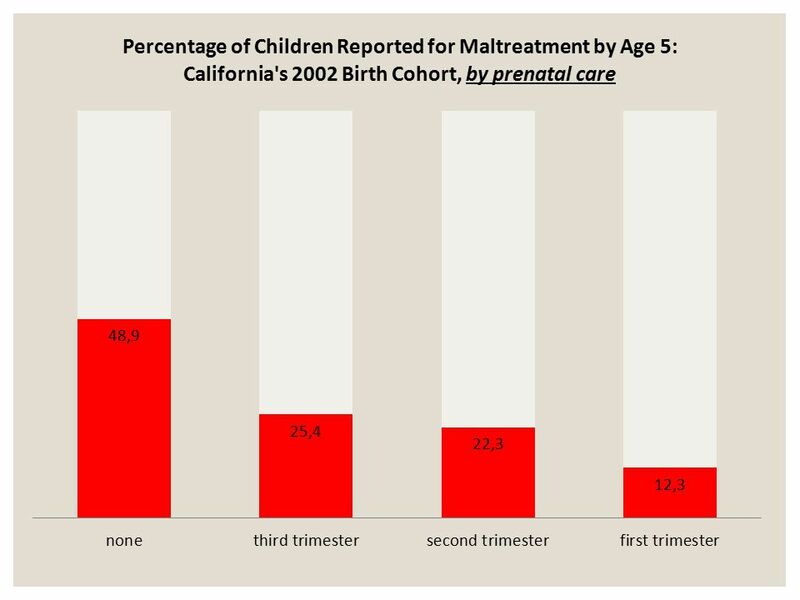 This can be done in the hospital after the child is born. 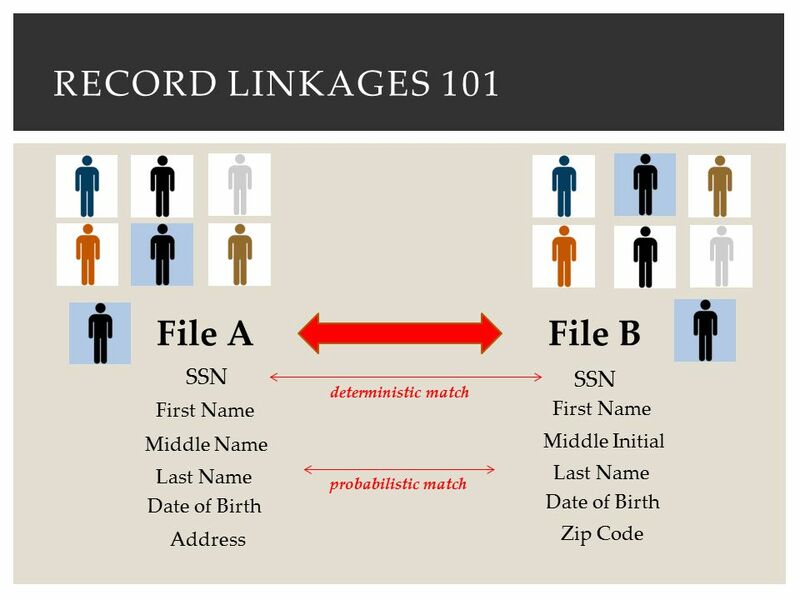 A Declaration of Paternity may also be signed by parents after they leave the hospital. Unmarried parents who sign the Declaration of Paternity form help their child(ren) gain the same rights and privileges of a child born within a marriage. 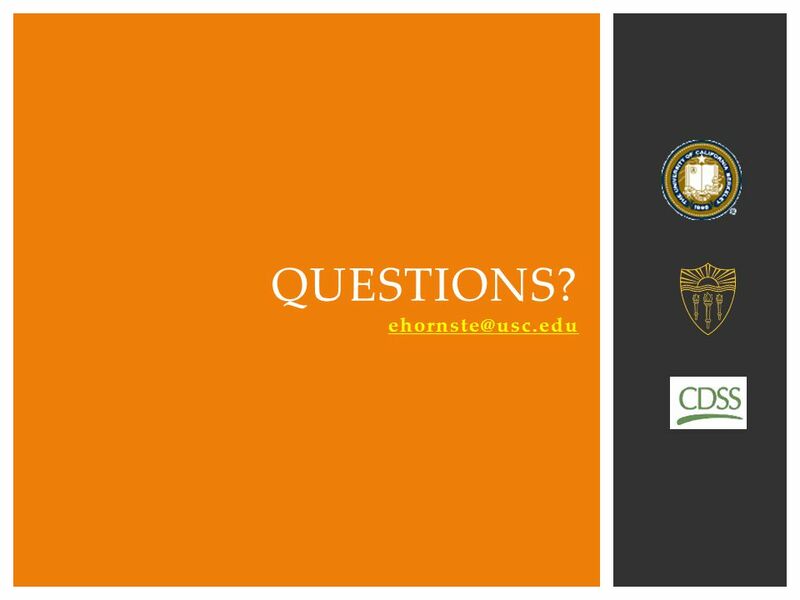 Some of those rights include: financial support from both parents, access to important family medical records, access to the non-custodial parent's medical benefits, and the emotional benefit of knowing who both parents are. 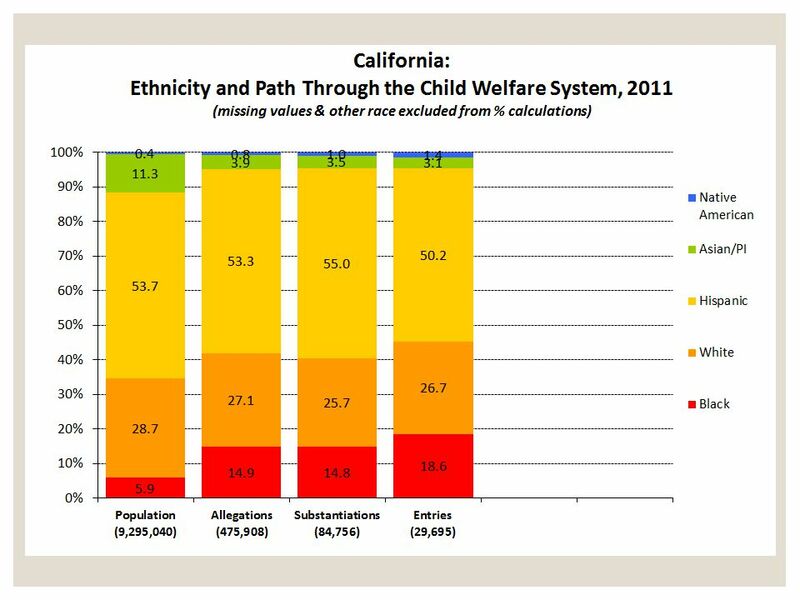 In an effort to create a legal link between unmarried fathers and their children, the California Department of Child Support Services joined other states in a partnership with licensed hospitals and clinics with birthing facilities to establish the Paternity Opportunity Program (POP). 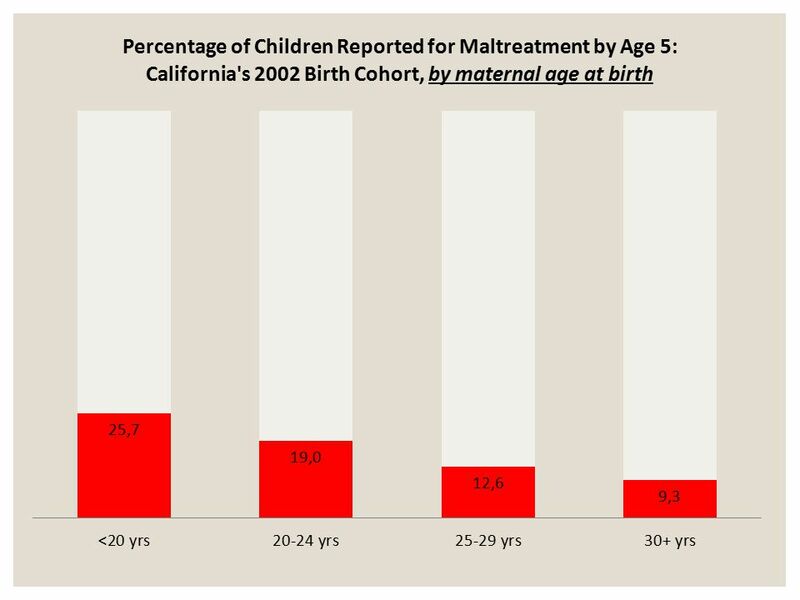 This voluntary in-hospital paternity acknowledgment program, implemented in January 1995, involves about 330 of California's licensed hospitals and clinics with birthing facilities. 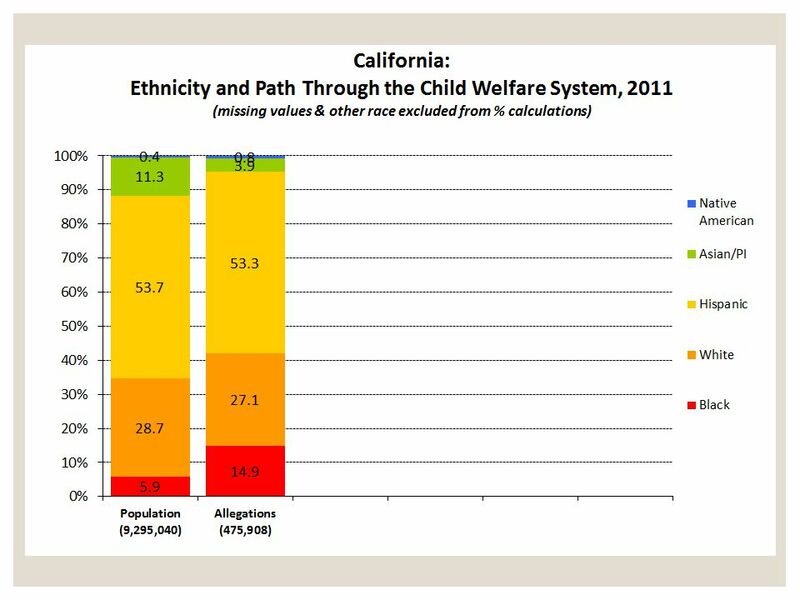 The program has since been expanded to prenatal clinics, county welfare offices, local vital records offices, and courts. 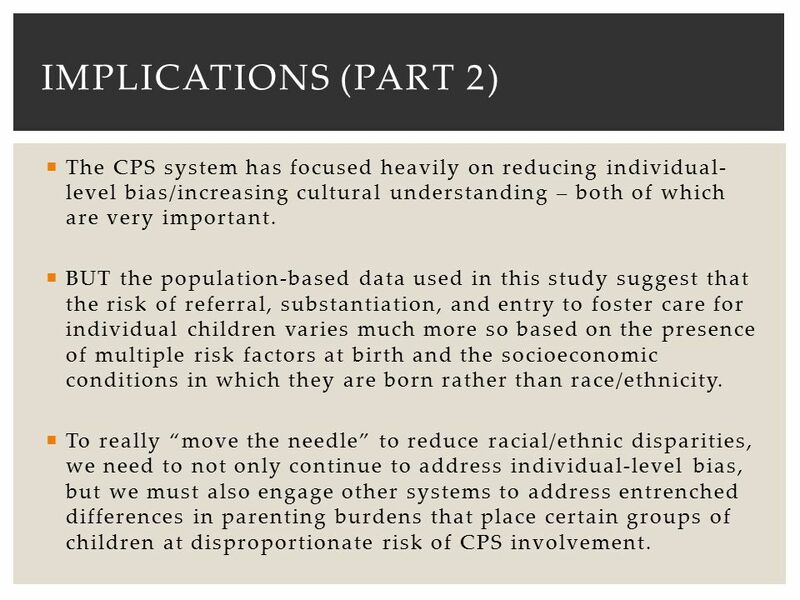 33 Implications (part 2) The CPS system has focused heavily on reducing individual-level bias/increasing cultural understanding – both of which are very important. 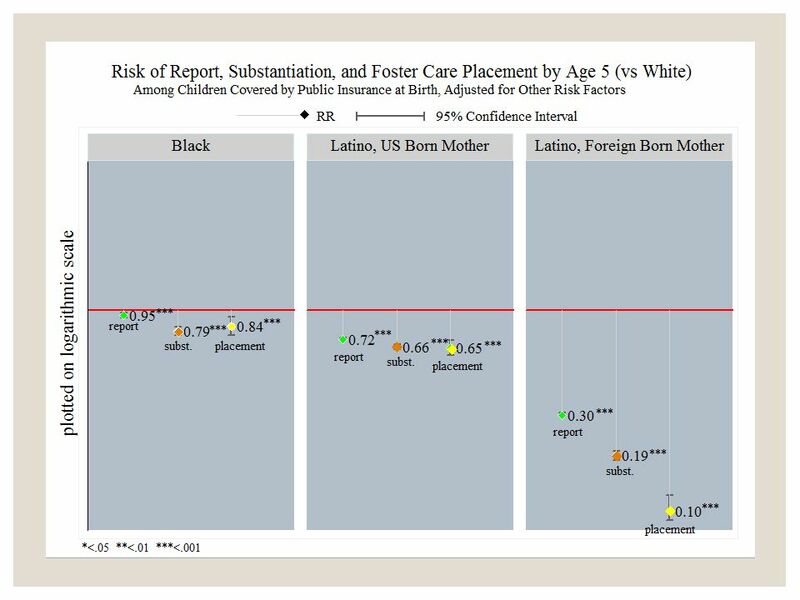 BUT the population-based data used in this study suggest that the risk of referral, substantiation, and entry to foster care for individual children varies much more so based on the presence of multiple risk factors at birth and the socioeconomic conditions in which they are born rather than race/ethnicity. 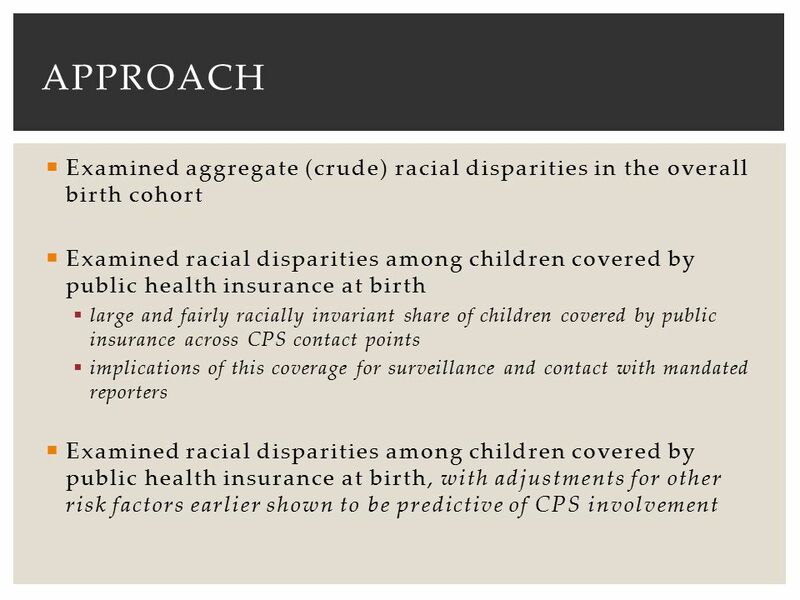 To really “move the needle” to reduce racial/ethnic disparities, we need to not only continue to address individual-level bias, but we must also engage other systems to address entrenched differences in parenting burdens that place certain groups of children at disproportionate risk of CPS involvement. 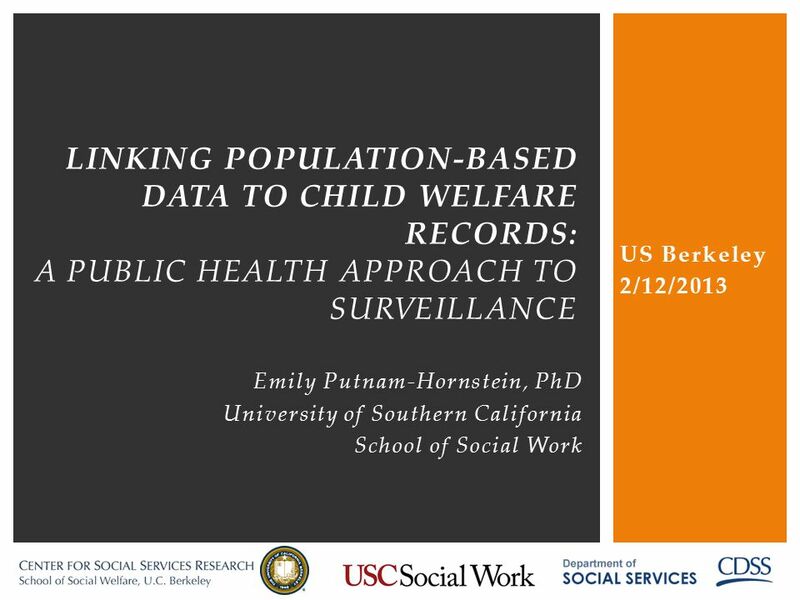 Download ppt "US Berkeley 2/12/2013 linking population-based data to child welfare records: a public health approach to surveillance Emily Putnam-Hornstein, PhD University." 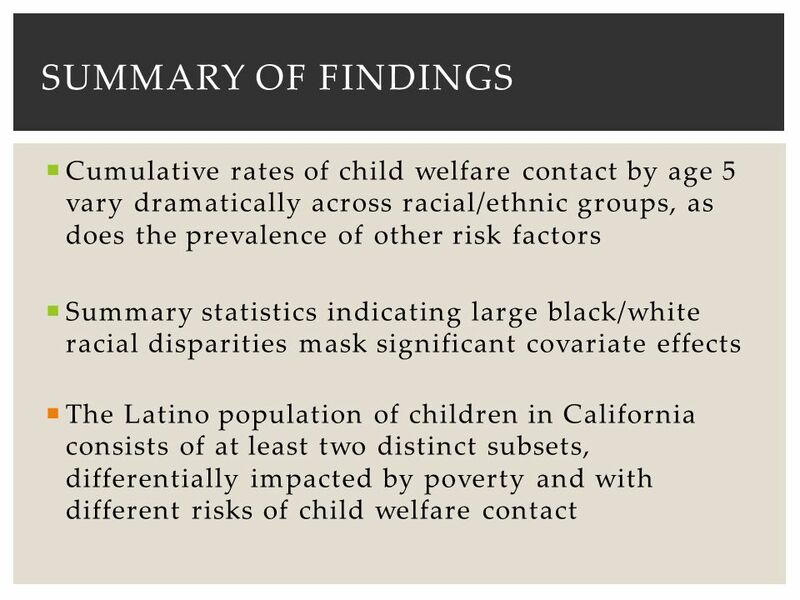 WORKING TOGETHER TO PREVENT CHILD FATALITIES: COLLABORATION AMONG REVIEW TEAMS, CHILD WELFARE AGENCIES, AND COMMUNITIES David P. Kelly, J.D., M.A. Administration. 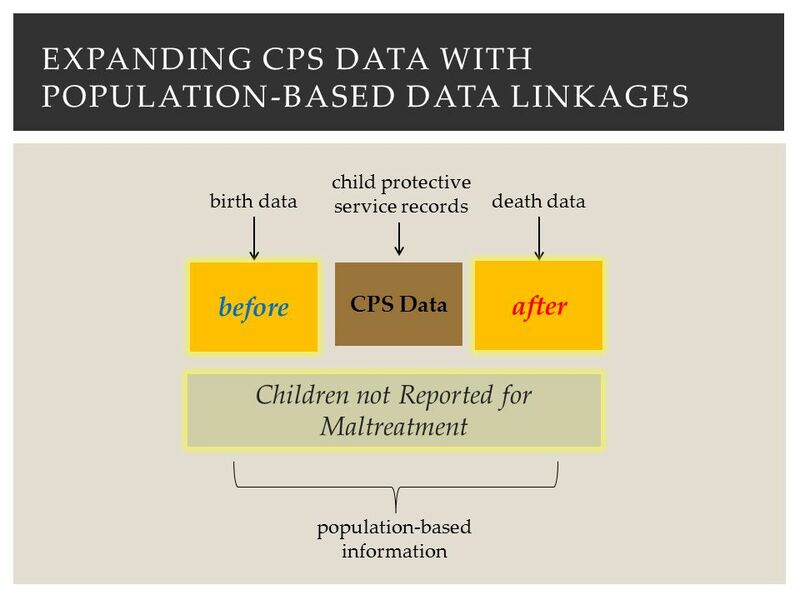 LINKING RECORDS TO ADVANCE CHILD PROTECTION: A CALIFORNIA CASE STUDY Emily Putnam-Hornstein, PhD University of Southern California Barbara Needell, PhD. 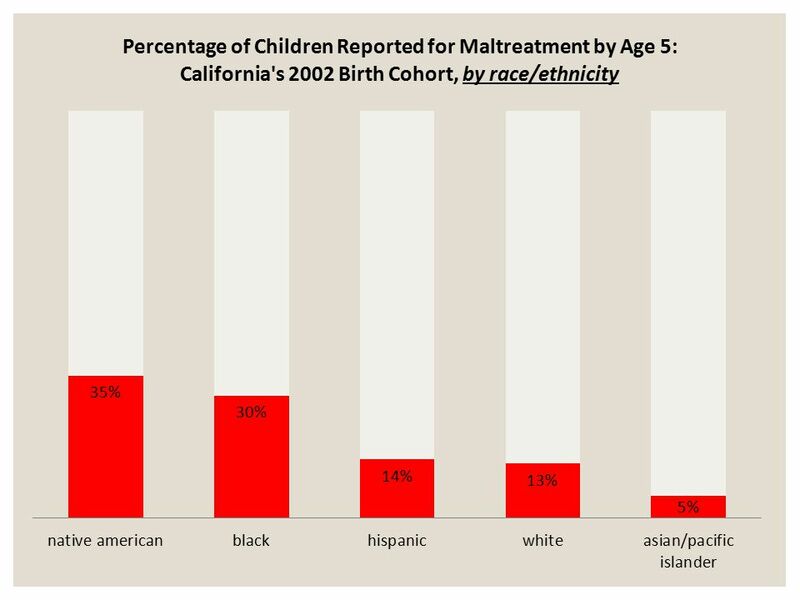 Illustrating HIV/AIDS in the United States 2014 Update Oakland (Alameda County), CA. 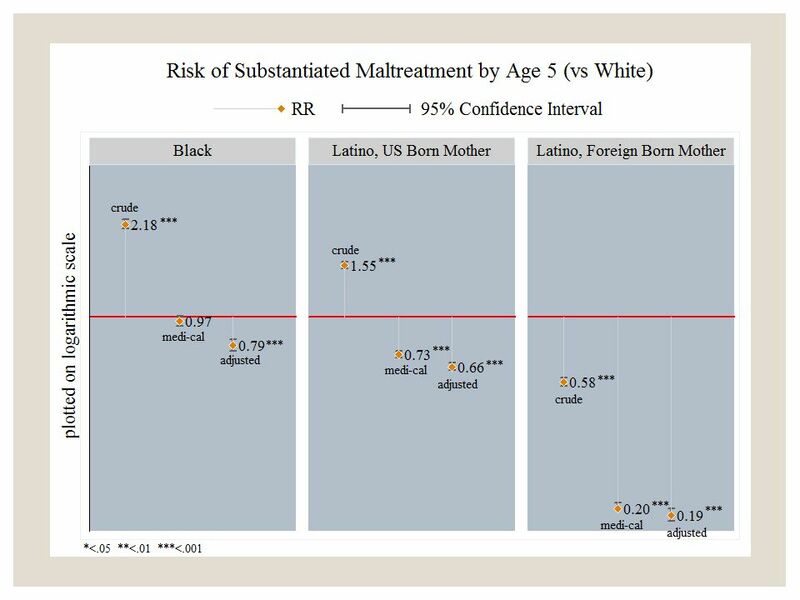 Preventable Injury Deaths: A Population-Based Proxy of Child Maltreatment Risk Emily Putnam-Hornstein, PhD Center for Social Services Research University. 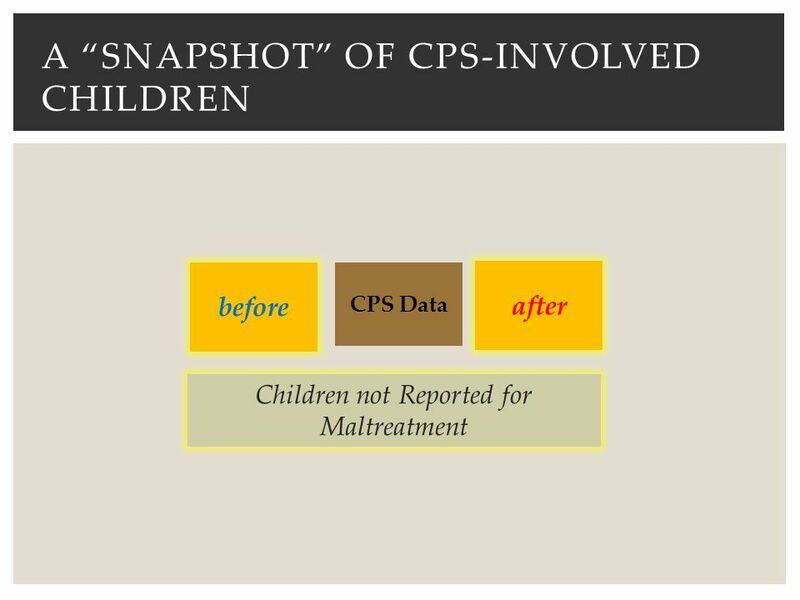 A POPULATION-LEVEL EXAMINATION OF FAMILIES INVOLVED WITH CHILD PROTECTIVE SERVICES: ORANGE COUNTY Emily Putnam-Hornstein, PhD Children’s Data Network University. 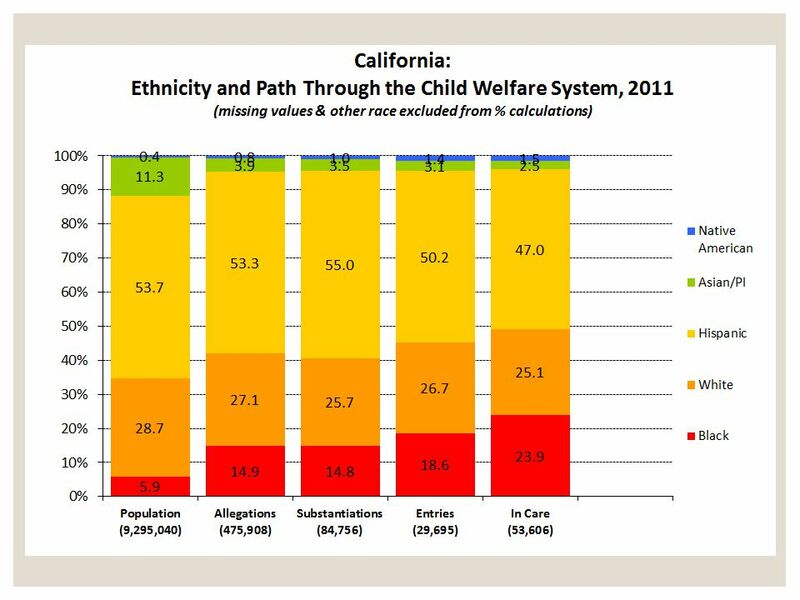 Kinship Care and Behavioral Outcomes for Children in the Child Welfare System David Rubin, MD MSCE Director or Research & Policy Safe Place: The Center. 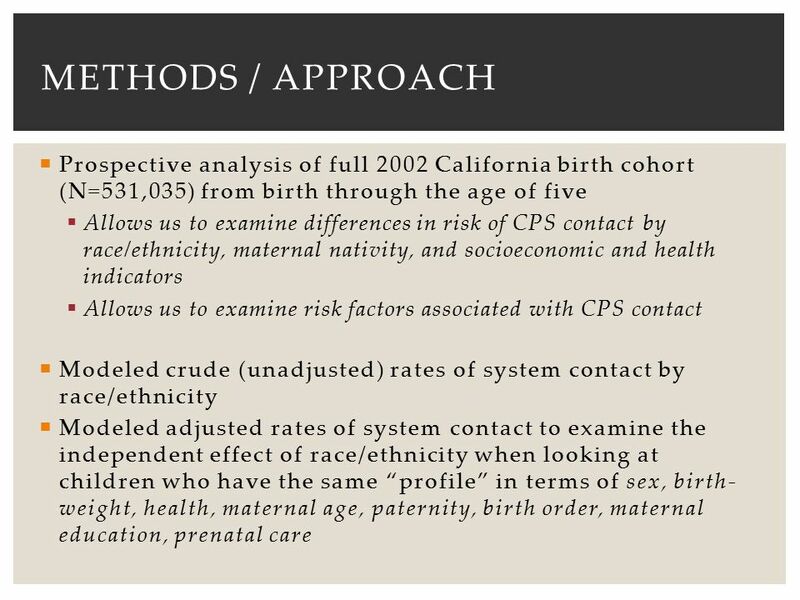 REACH Healthcare Foundation Prepared by Mid-America Regional Council 2013 Kansas City Regional Health Assessment. Presentation to Children’s Administration CW Supervisors March 19, 2009 Lyman Legters and George Gonzalez Casey Family Programs. 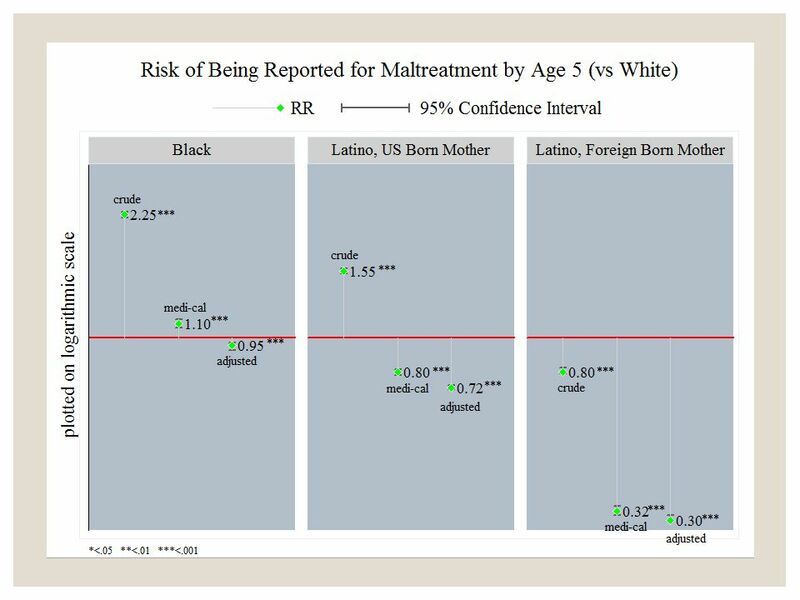 RISK OF RE-REFERRAL AMONG INFANTS WHO REMAIN AT HOME FOLLOWING REPORTED MALTREATMENT Emily Putnam-Hornstein, PhD James Simon, MSW Joseph Magruder, PhD. 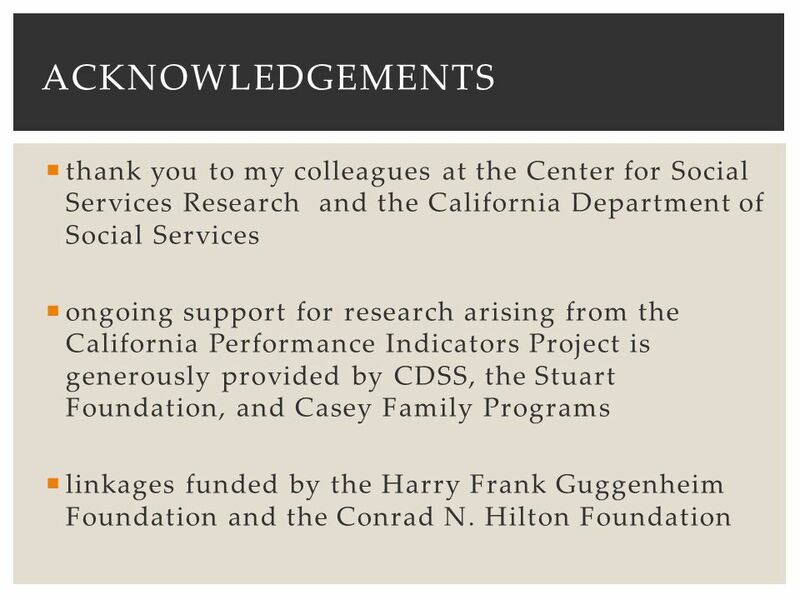 CENTER FOR SOCIAL SERVICES RESEARCH School of Social Welfare, UC Berkeley Child Welfare in California: 1. 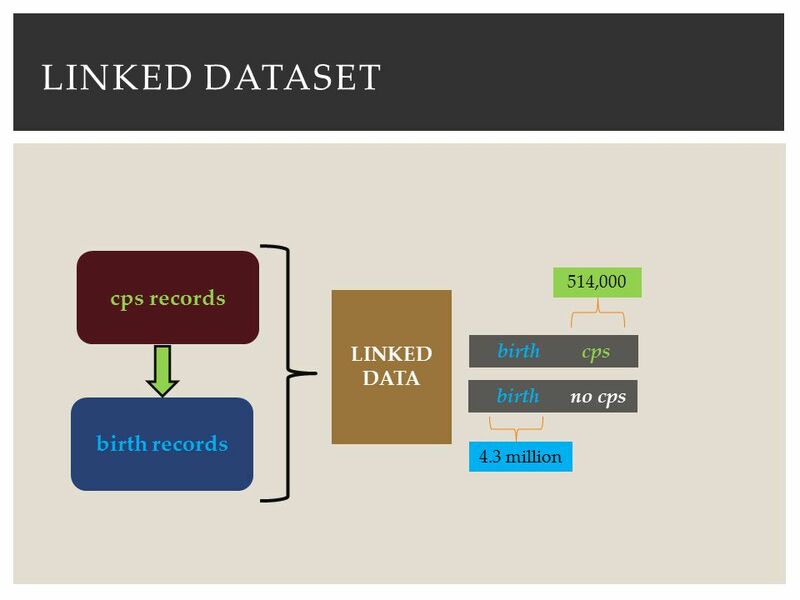 A Quick Tour of the Data 2. 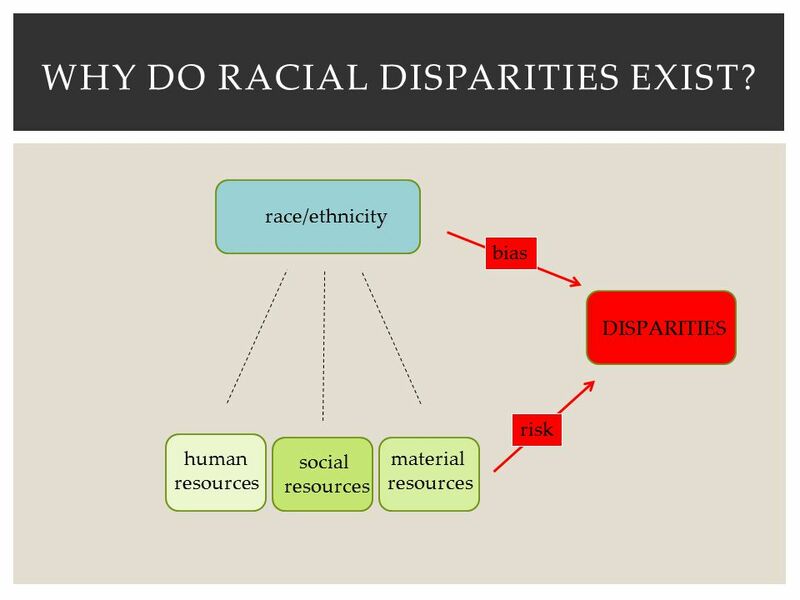 A Racial Equity Lens. 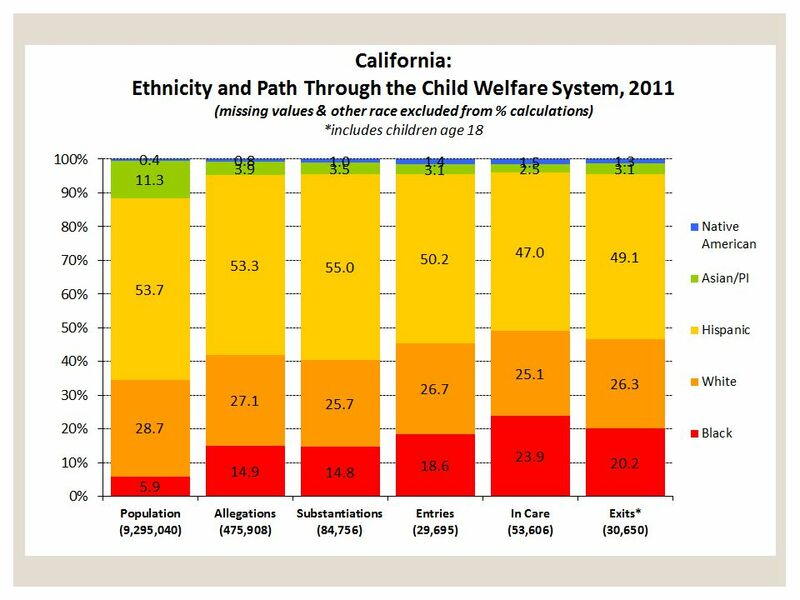 How do Morgan & Scott County Children Enter the Child Welfare System? Morgan and Scott Counties Indicated reports FY 2010 SourceNumber Percent of total. Who lives in Rock Island County? 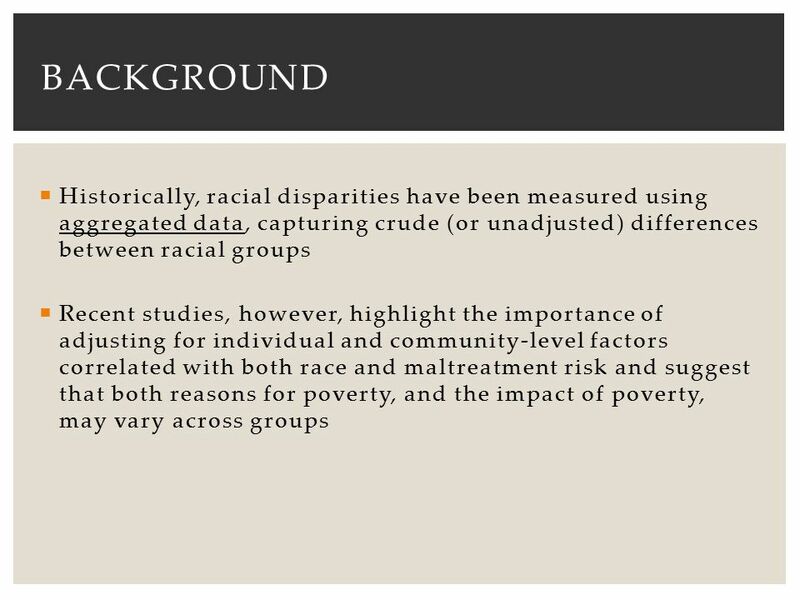 Rock Island County Demographics by Race and/or Ethnic Group, 2009 estimate N = 148,826 White113, % Black or African. 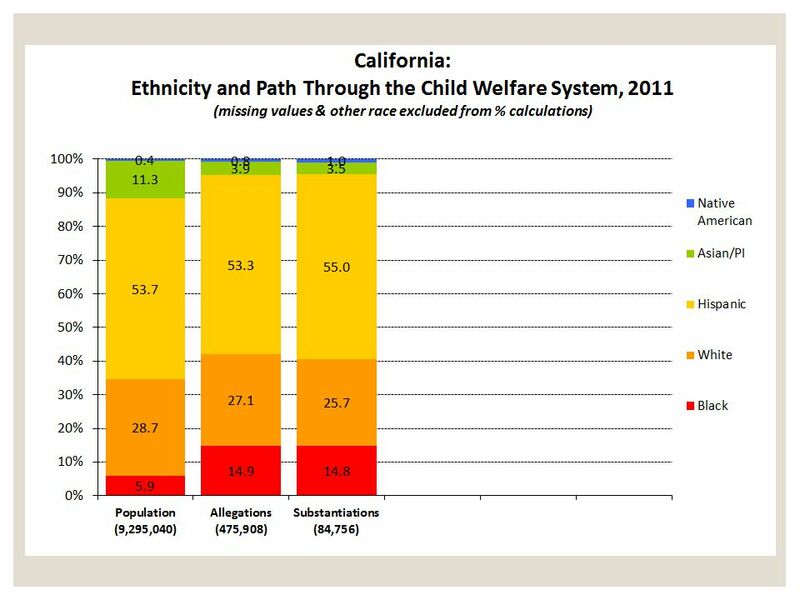 1 No glove, no love: Why California’s ethnic youth report using contraception Shelly Koenemann, MPH Marlena Kuruvilla, MPH/MSW Michelle Barenbaum, MPH.